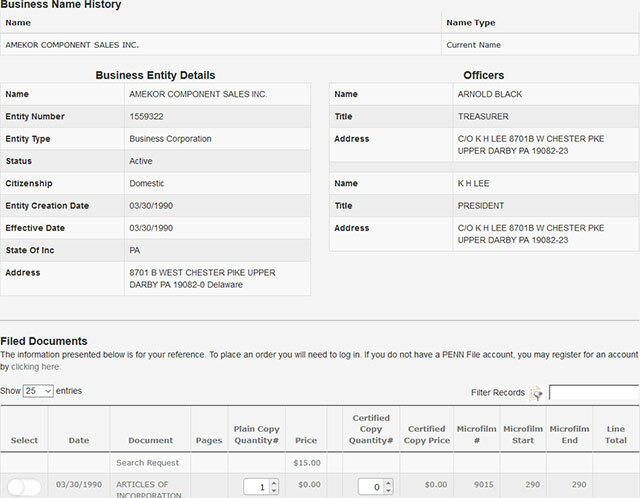 Using the online search tool for business entities registered with Pennsylvania, you can search the database of the SOS for the same. Here we present a detailed outline of the procedure to assist you in your search. Below is a step by step guidelines on how to use the Pennsylvania business search tool. 1. The first step is to access the Pennsylvania business search page by clicking here. The page looks like the screenshot below. 2. 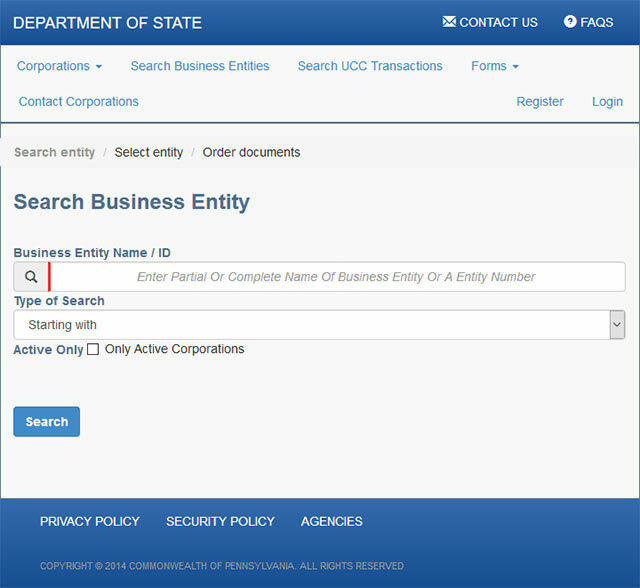 On this business search page you can search by name or entity number. They also provide additional options to help widen or narrow your search with the Type of Search drop down field. You can search a business name starting with, all words, any words etc. 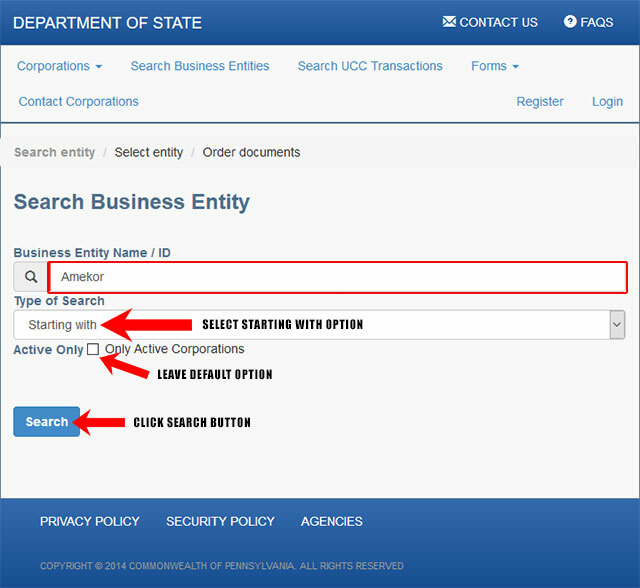 You can also search based on the status of the business entity either search for all entities or active only. For this example we want to search by name. So in the "Business Entity Name" field type in "Amekor". Then for the "Type of Search" drop down field select "Starting with". Leave the default option for the "Active Only" field. Once done click the "Search" button as shown in the screenshot below. 3. Once you click the "Search" button it will then display a list of results that match your search criteria. They display the entity name, type, address, entity number, status and citizenship for each business entity listed. 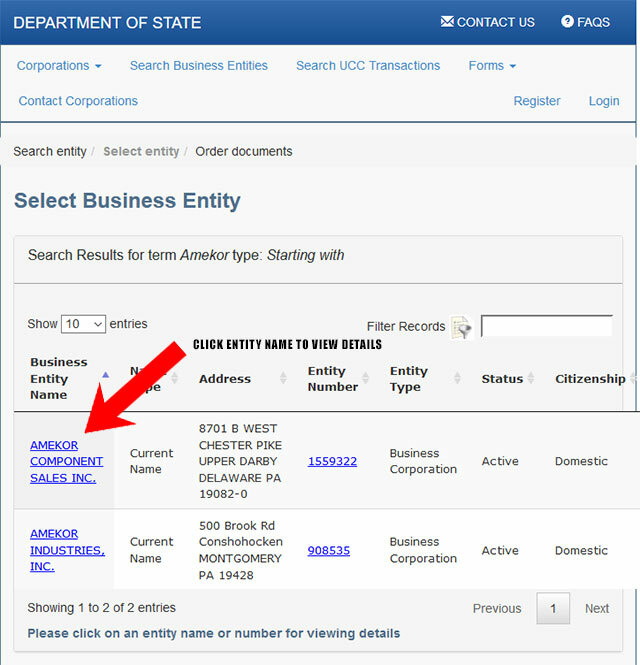 To view details of a business entity, click the entities name as illustrated in the screenshot below. 4. Once you click on a business entities name to view their details, you will be taken to a page that shows their entity number, type, status, officers, citizenship etc. This is illustrated in the screenshot below. The Secretary of State of Pennsylvania is also known as the Secretary of Commonwealth of Pennsylvania. An elected constitutional office, the Secretary of State of Pennsylvania is responsible for a wide set of public responsibilities. Currently, the office is headed by Carol Aichele. The Secretary of State of Pennsylvania is the keeper of the Great Seal of the State and is also responsible for authenticating public documents. 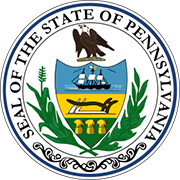 The Secretary of State of Pennsylvania has the authority of certifying government documents through the use of the seal. He is also the chief election official of the state. This website is not associated with the Secretary of State or any other government operated services.